Last weekend me and my boyfriend visited London, living in Leicestershire it's nice to get a taste of city life every now and again and London never disappoints. We were originally going to London to go to The Ritz for afternoon tea but we had decided to make a weekend of it. 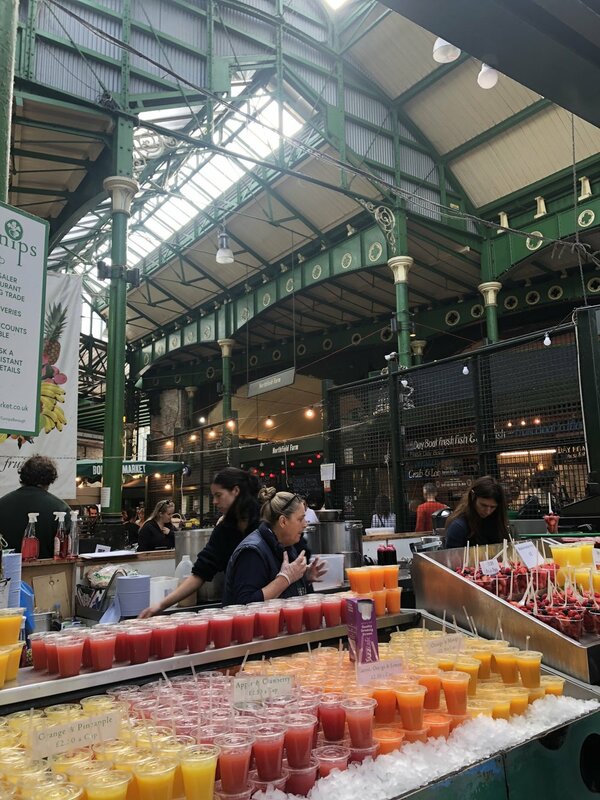 We were staying in the London Bridge area and our hotel was just up the road from Borough Market, if you're ever in the area I'd definitely recommend popping in! 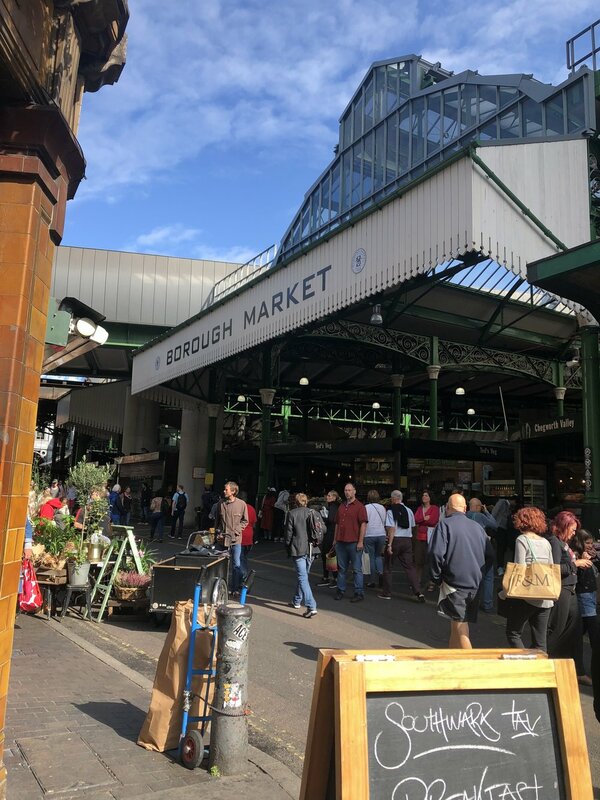 There's an abundance of food stalls selling fresh produce and also lots of food vans selling everything from bacon sandwiches to donuts to curries! 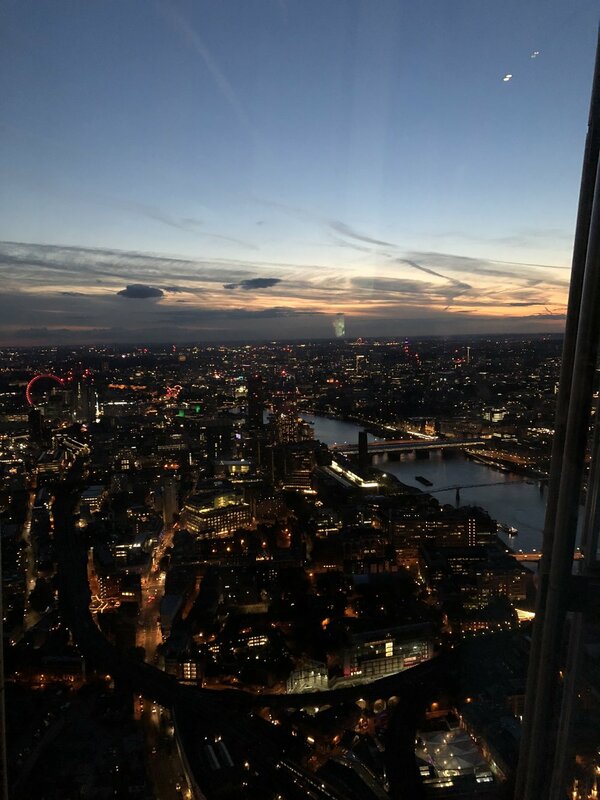 After a busy day exploring the city, we took a trip the highest point in London - the Shard! It offers incredible views over London but if you're a bit like me and you get jelly legs you might not want to look down! On Sunday it was time for afternoon tea! We enjoyed a selection of sandwiches, cakes, scones and tea, everything was so perfectly presented and tasted even better than it looked! We were well looked after by our waiter and nothing was ever too much trouble, you really do feel like Royalty. If you ever find yourself in London and you fancy a treat I would definitely recommend heading to the Ritz. You can book here.